The Ross Evening MBA format offers maximum flexibility. 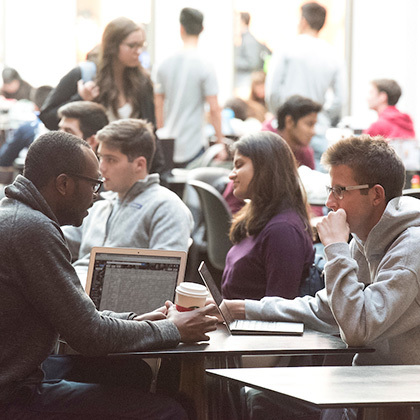 You can pursue a Ross MBA at your own pace. Attend classes at night; on weekends; and, for some courses, during the day with peers in the Full-time MBA Program. 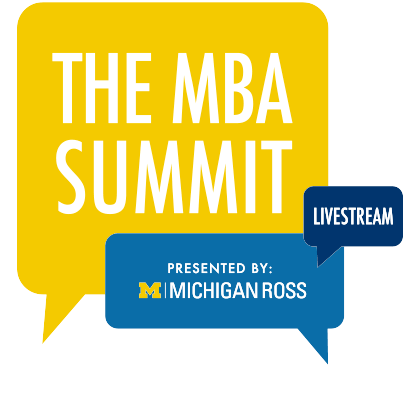 You will need to complete 60 credits for the MBA, taking classes at our Ann Arbor campus. Students typically complete the program in three to four years. In addition, the Evening format offers the Sanger Leadership Center activities and features a full range of Ross electives, including the signature Multidisciplinary Action Project course. The core serves as the foundation from which you can customize your MBA experience and pursue your own interests via electives and other focused studies. Complete any one of the following classes: BCOM 520, BCOM 521, BCOM 522, BCOM 524, or BCOM 560. Pass the Communication Waiver Exam: Offered online prior to the beginning of the fall term in July/August. You have multiple opportunities to take the communication waiver exam. If you have not successfully completed the waiver exam, you will need to fulfill the communication requirement with course work prior to graduation. ** Law/Ethics Requirement: To fulfill this requirement, you must complete one of the following courses: BL 504, BL 506, BL 507, BL 508, BL 509, BL 511, BL 512, BL 513, BL 514, BL 515, BL 516, BL 517, BL 536, or BL 582. 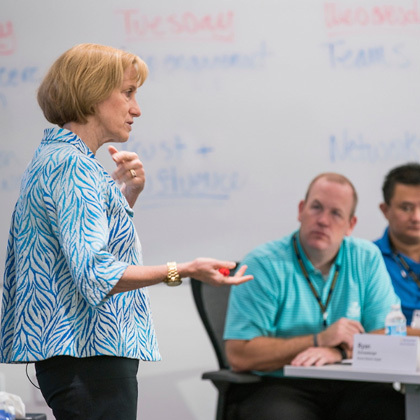 Our renowned Sanger Leadership Center helps you develop the skills required to thrive in complex business organizations. 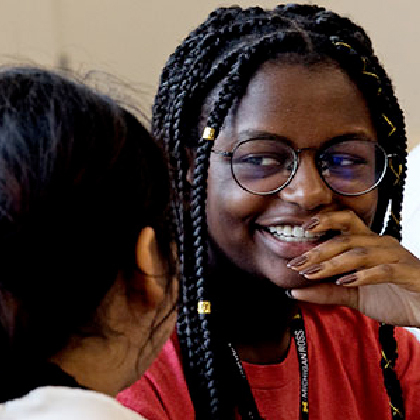 Throughout your program, you’ll have the opportunity to take part in several of Sanger’s innovation programs, such as Story Lab, Legacy Lab, and Innovation Jam. Test your ability to stay cool under pressure during Leadership Crisis Challenge, an intensive experience in which you and a team of your peers will assume the role of senior management facing a devastating crisis. After you find your solutions, you face a judging panel of faculty and members of the business community. Crisis Challenge is available during the Winter semester. Our signature Multidisciplinary Action Projects course epitomizes the Ross dedication to hands-on learning. You will work with a sponsoring company seeking a creative solution to a critical organizational challenge. Projects are hosted by incubators, startups, nonprofit organizations, and major corporations throughout the world. Each project requires you to collaborate with a team of peers and a faculty advisor to confront the ambiguities of a real-world business challenge. You apply academic concepts, analytical skills, and creativity to frame and resolve that challenge. At the conclusion of the project, you deliver your analysis and recommendations to the sponsor and Ross faculty in a formal presentation and written report. Types of projects will vary. Some projects require teams to create a business strategy, solve a market entry problem, or perform complex financial modeling. Others ask you to generate product launch plans, propose operations improvements, or draft new customer relationship regimens. For all students entering the program in Fall 2014 or later, MAP will take place in the summer term. As you complete the core Evening MBA courses, you can choose among a wide range of electives to pursue your own areas of interest. Ross electives will deepen the knowledge acquired in the core and help to integrate everything you’ve learned. 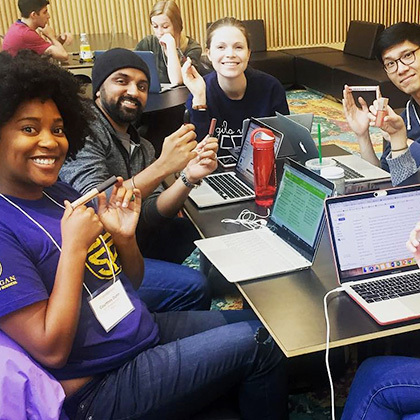 You might also choose to pursue interdisciplinary opportunities and may select up to 10 credit hours from other graduate schools at the University of Michigan. Note that some elective classes can be taken earlier in the program, depending on course prerequisites. All students will complete a minimum of 25.5 credit hours in elective coursework. Elective courses may be 1.5, 2.25, or 3 credit hours. At least 50 of your required 60 credits must be business administration coursework. Take on a real-world business challenge in the Evening MBA MAP course. Find out how to apply to the Ross Evening MBA Program and what you’ll need to begin the process.